Our gorgeous antique furniture, unique gift items, and small antiques have been attracting Central Florida residents to our 5,000 sq ft showroom for close to 35 years. Many of our clients are known by name and we consider them our friends. We also have out of state visitors who always make it a point to visit us while they're in Orlando. 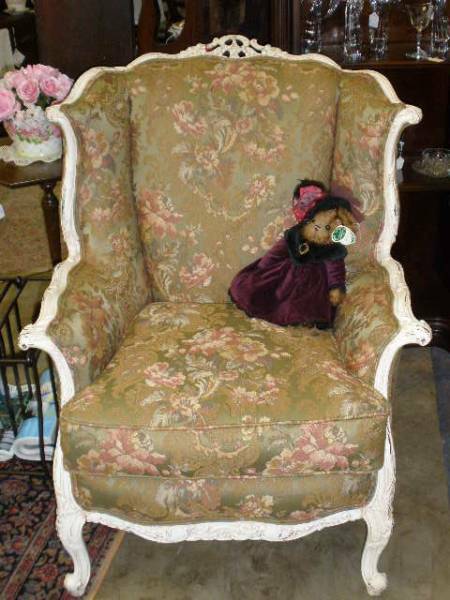 Apple Core specializes in turn of the century antiques from the Victorian era to the early 1940's. Our loyal clientele is drawn to our large selection of hand-picked oak, walnut, mahogany, and various woods furniture. We're proud to say that our furniture pieces are true antiques, never reproductions! What sets Apple Core apart from other area antique stores is that we offer a variety of top notch services for our customers including refinishing, furniture repair, caning, upholstering, special order fabric, lamp repair and custom florals. Our highly skilled and respectable craftsmen take a great deal of pride in their jobs and it shows in the beautiful work they do. The look on a client's face when they see how their furniture has been transformed for the first time is priceless and gives us a deep feeling of satisfaction. No matter what the task is, give us an opportunity to fix up your belongings and you will be quite happy you did! Welcome to Apple Core! Come, sit, stay awhile. Visit us during the holiday season. Apple Core will have a Holiday Open House the first wek of November. We have all sorts of treats and prizes to give away. Email us at ApleCore@Bellsouth.net, if you'd like to be added to the mailing list, for a personalized invitaion.